Welcome! 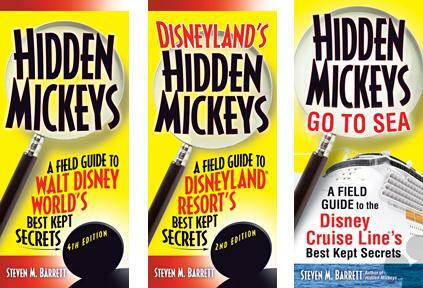 On this week’s show, I get to sit down with author Steven Barrett of the Hidden Mickey Guides. Finding Hidden Mickeys has become a favorite of WDW guests, and their popularity has grown from a little-known inside joke among imagineers a few years ago to a whole attraction in and of itself! We’ll talk about the history of Hidden Mickeys, what the best and favorites are, and a few that have changed, been replaced, or enhanced. So now it’s time to sit back and enjoy the show, because if you’re a Disney Geek, you’re among friends here! !